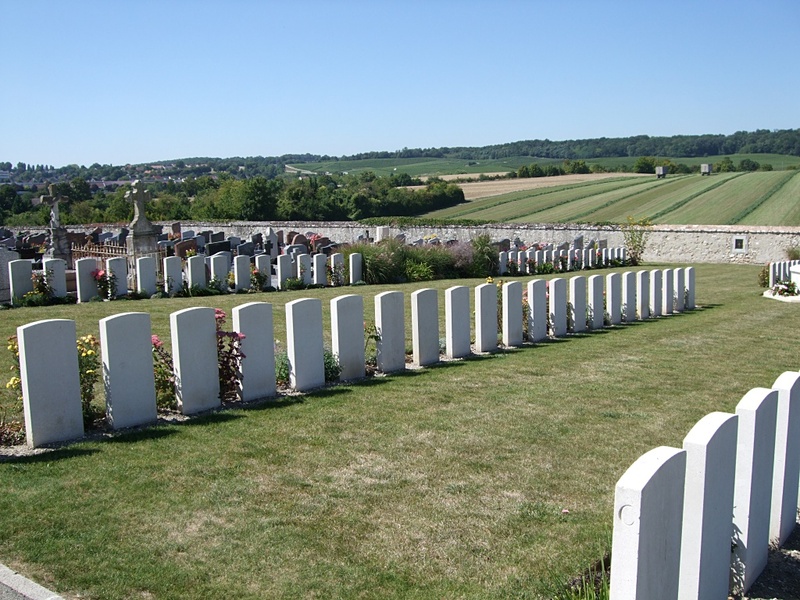 The town of Sézanne is approximately 100 kilometres east of Paris on the main road to Nancy and about 60 kilometres south of Reims. The town of Sézanne is best reached from either direction of the N4 road, by turning onto the RD51, following signs for Sézanne. After about five hundred metres turn right again following the same signs. At a road junction with traffic lights turn right following the signs for centre ville and Epernay, continue through the town centre until a right turn signposted Broyes and Vertus (rue de Broyes). After a short distance take a left fork in the road also signposted Broyes and Vertus, at the next road junction it is necessary to continue straight over again following the signs for Broyes and Vertus. 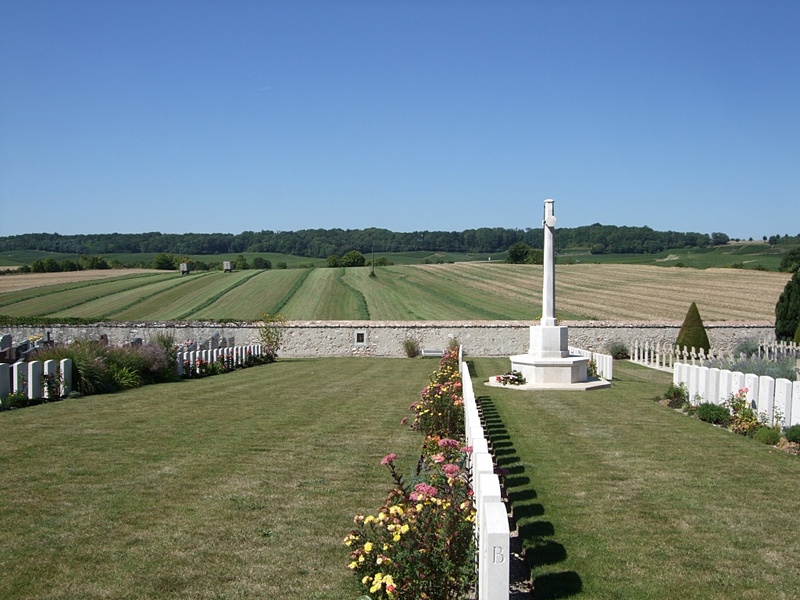 After a short distance the communal cemetery can be found on the left side of the road. 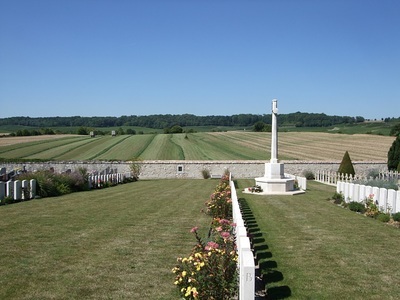 The CWGC plot is located to the rear of the civil cemetery. 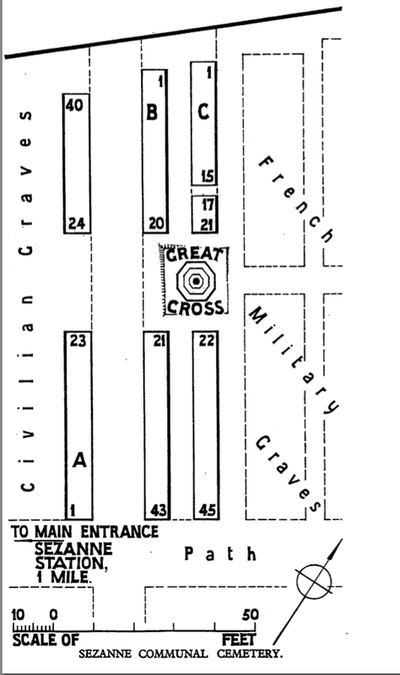 French medical units were at Sezanne from September 1914 onwards, and of the 32nd Casualty Clearing Station in June and July 1918. 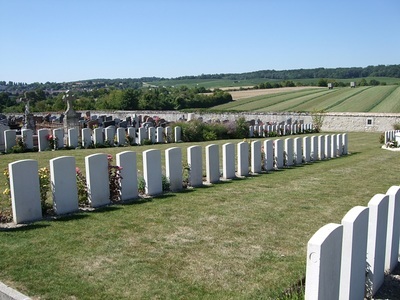 Sézanne communal cemetery contains a plot of 127 Commonwealth burials of the First World War, four of them unidentified.